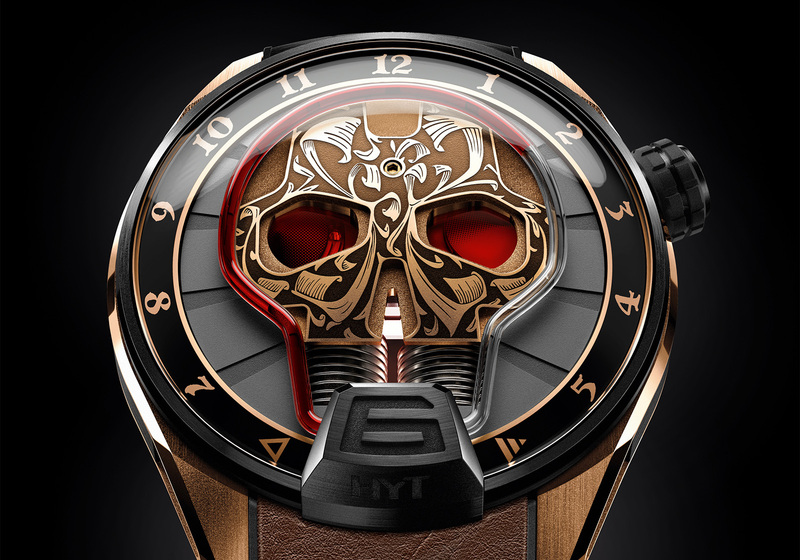 A dead skull as a time display? 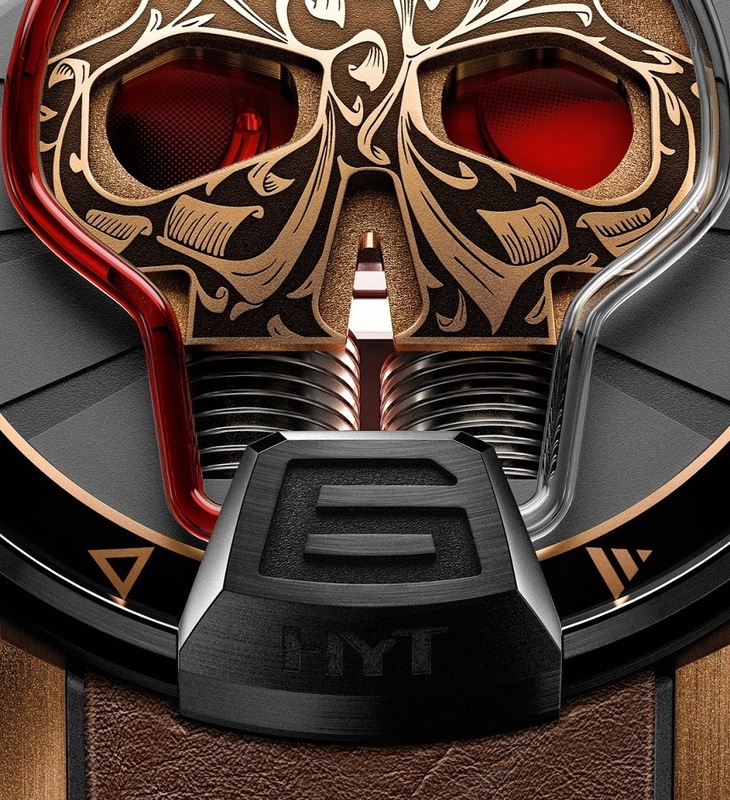 The skull Maori is also inspired by popular skull and crossbones art, as well as tribal tattoos of New Zealand Maori. 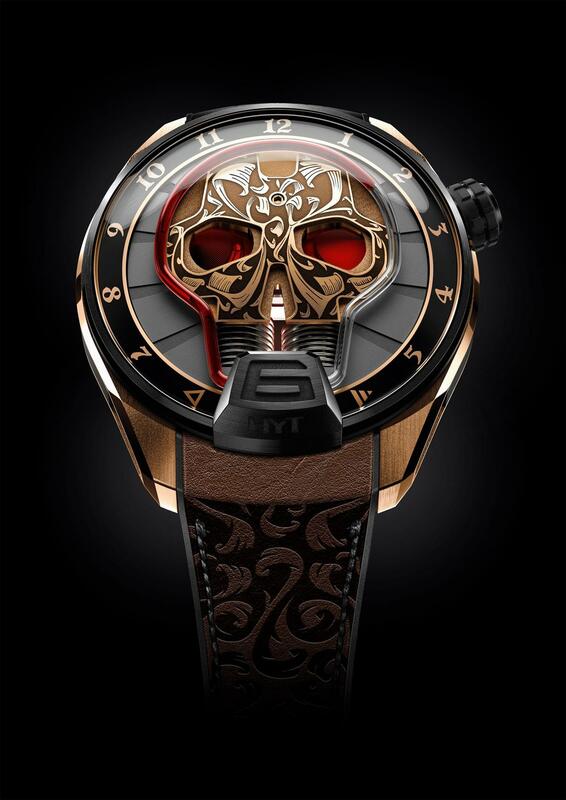 The skull, made of pink gold, was engraved by hand with corresponding motifs, the design continues as laser engraving on the leather strap. 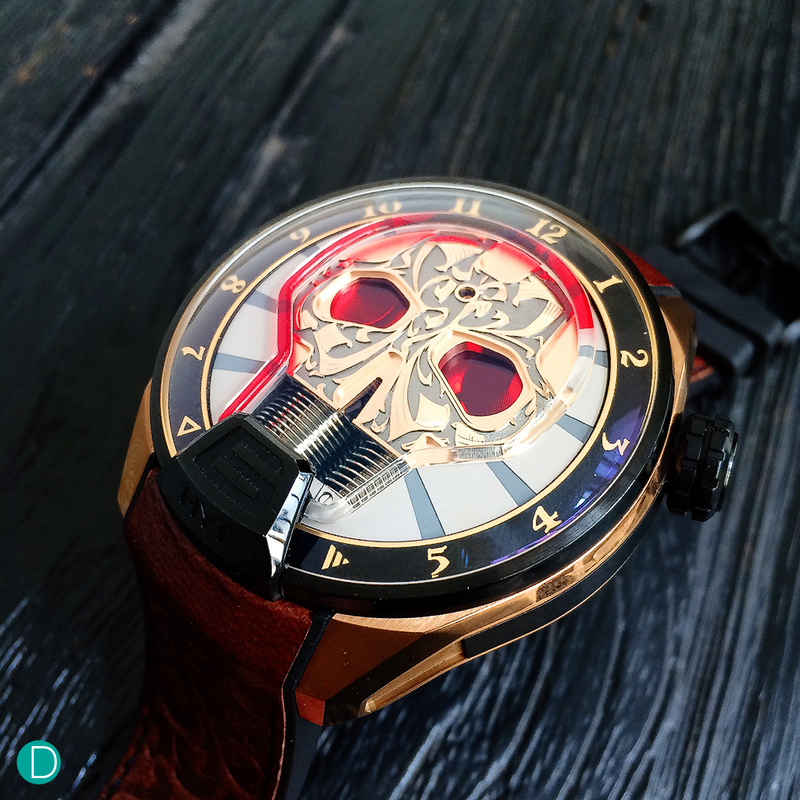 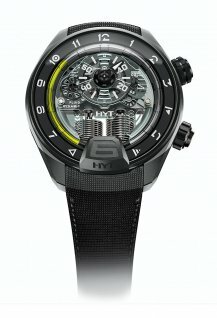 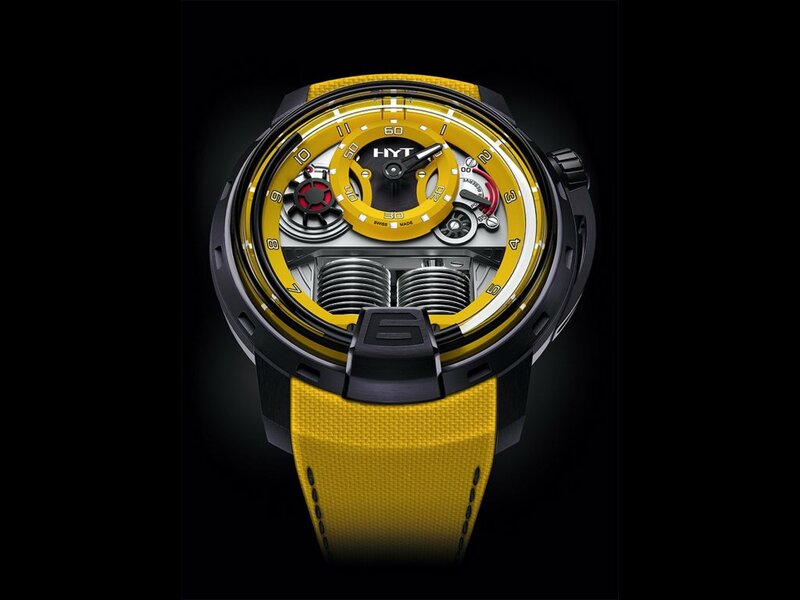 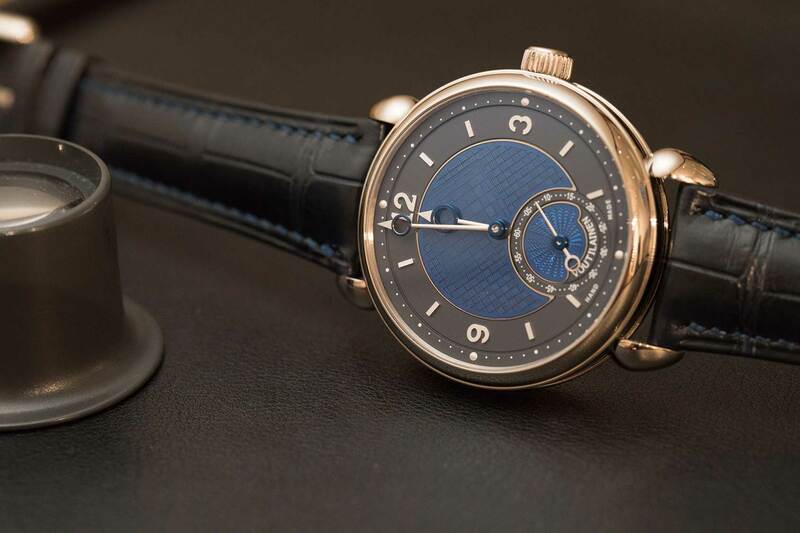 Even the first watch from HYT showed the time over a liquid in a tube. 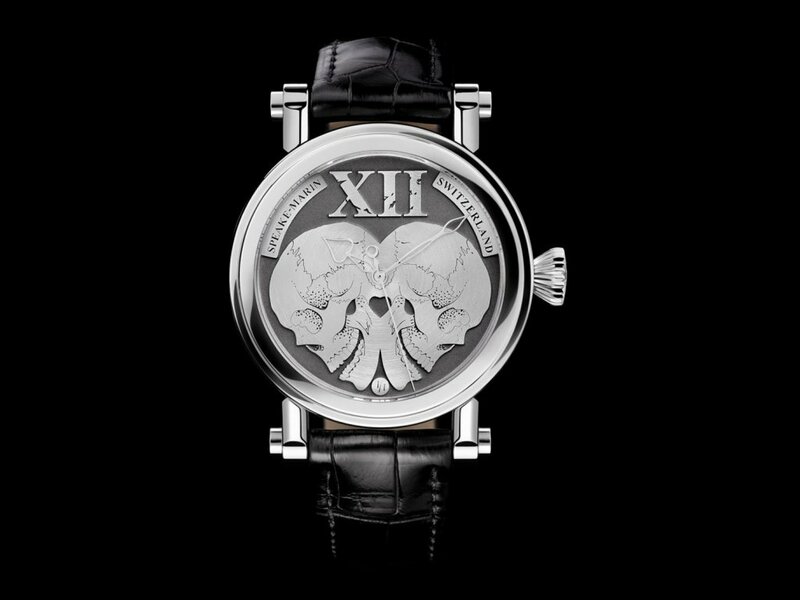 At the skull Maori, two bellows store the liquid at the beginning and end of the barely a millimeter-thin tube. 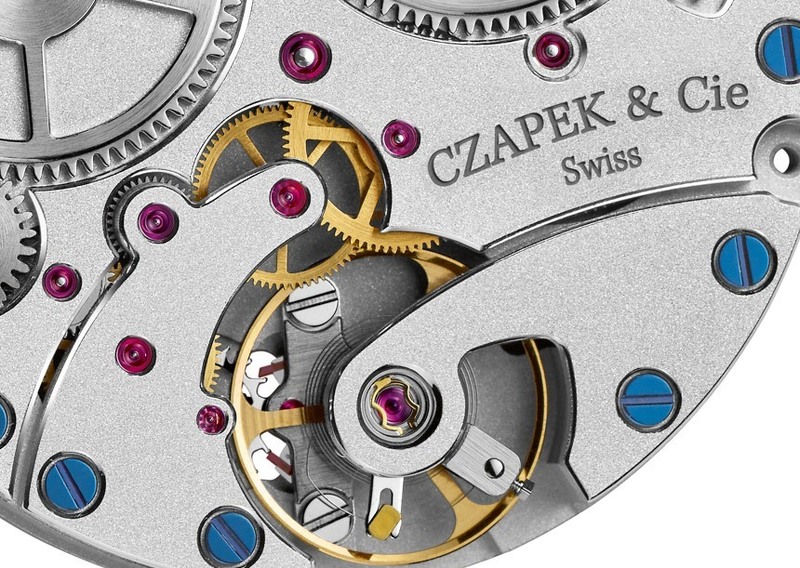 A mechanical work presses the front bellows together; This will move the liquid further.